The Zeal Randa 35 TLR Carbon Clincher Wheelsetis the perfect choice to upgrade your road bike. 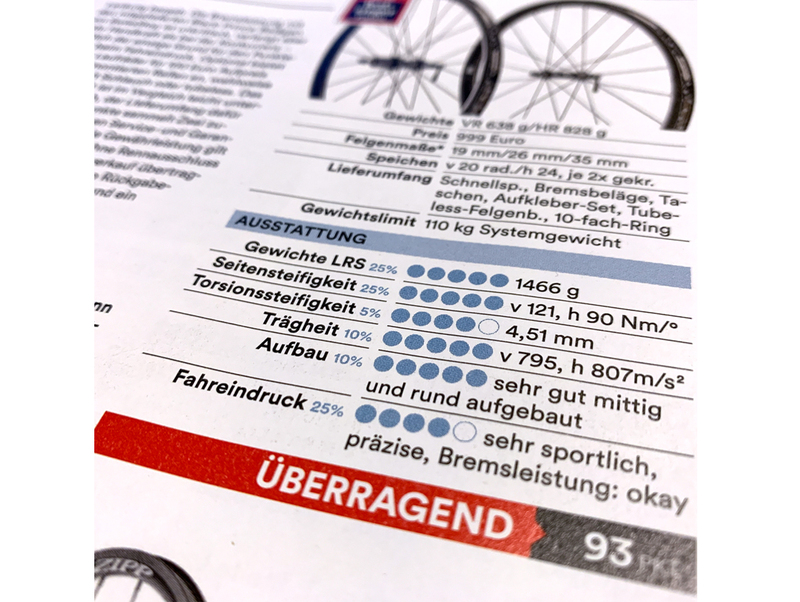 The 35mm UD carbon rims offer a great balance of aerodynamics and suitability for daily use, because of its low sensitivity to crosswinds and vertical compliance (comfort). A special treated 1.5k carbon brake surface in combination with the included SwissStop Black Prince brake pads guarantees top level brake performance in dry, but also wet conditions. 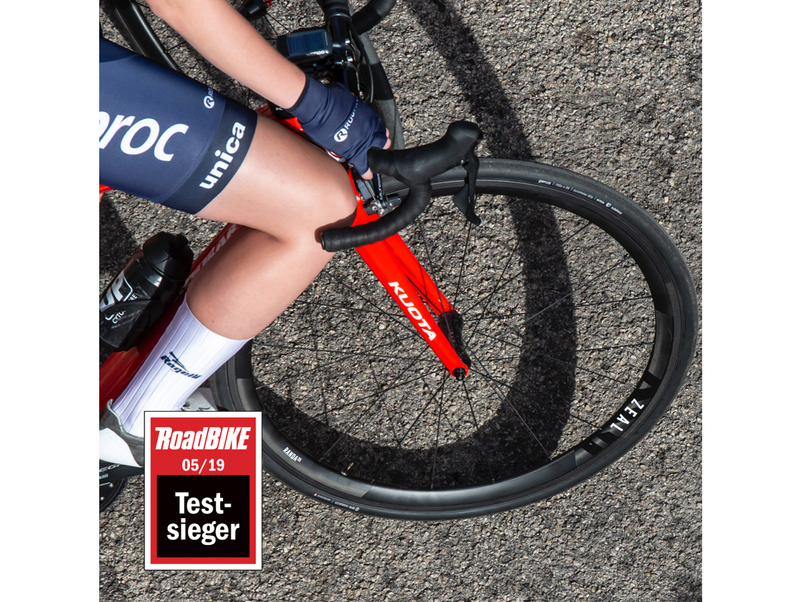 To ensure long-term satisfaction with the wheels we rely on DT Swiss 350 straightpull hubs. Hand laced and trued with 20 (front) respectively 24 (rear) Sapim spokes, the wheels provide a stiff setup for highest riding stability even for heavy riders. 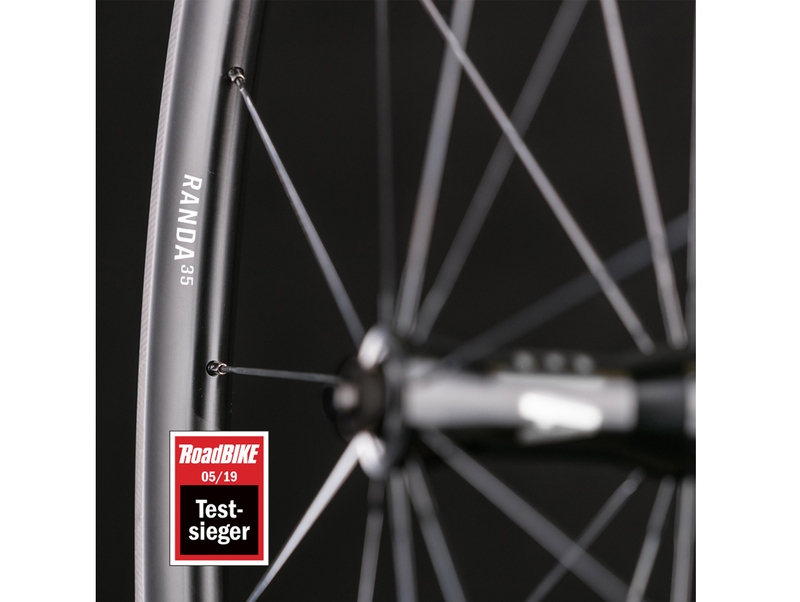 Delivered with mounted tubeless rim tape, a RANDA35 forms the perfect base for a li ght and comfortable tubeless wheel set. 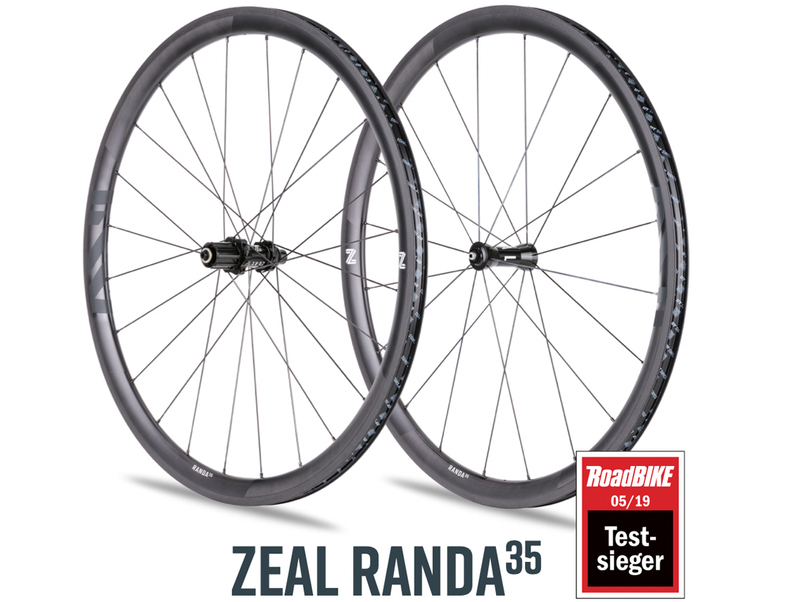 Roadbike magazine of Germany has rated Zeal's RANDA35 as test winner with 93 of 100 points. Click here to find more information about the review.